IMMACULATE! MUST SEE! 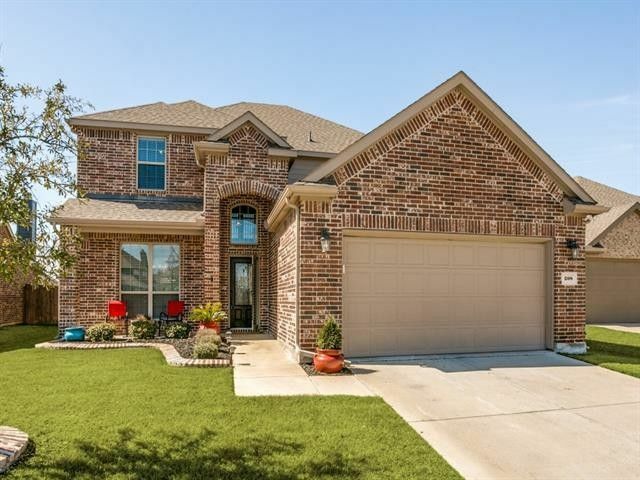 Perfect floorplan with master down, large open living overlooking oversized patio and private backyard. Large gameroom upstairs could be used as 5th bedroom. Many upgrades including, light fixtures and hardware throughout, oversized custom shower with two shower heads in master,large custom framed master bath mirror, storm doors, angled tile in kitchen, large under stair storage, ceiling fans in every room, extended patio in back yard, landscaped front yard border, and solar screens. HURRY BEFORE IT'S GONE! Directions: From Preston Rd, go East on 380, right on Coit, left on Virginia, right on Bluestem, left on Noblewood, left on Riverstone, home will be on left, sign in yard.